PYBAR Mining Services has been awarded the development and mining contract at Auctus Resources’ Mungana and King Vol projects, and has commenced operations at both sites. The contract covers 31 months service provision at Mungana and five years at King Vol. The Mungana zinc, copper, silver, gold and lead mine is located 16km from Chillagoe in far North Queensland. 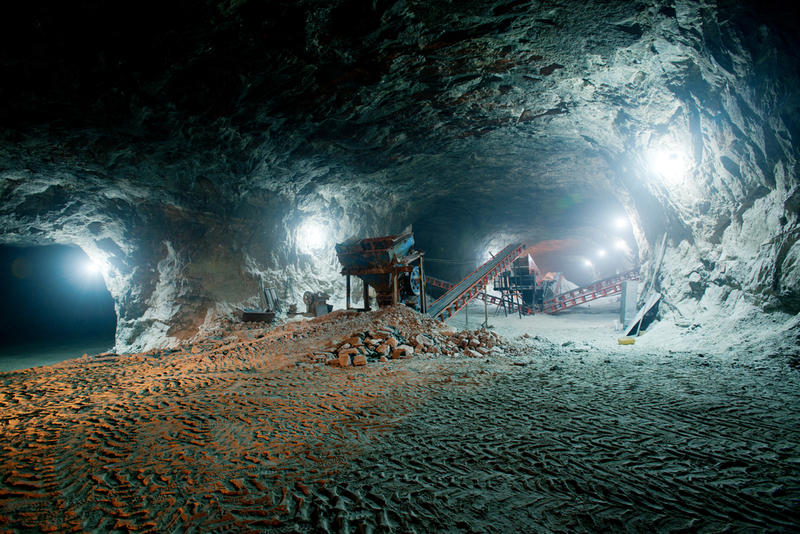 The mine commenced operations in 2006 and went into a period of care and maintenance in 2012 under its previous owner. Auctus acquired the project in 2015 with the objective of recommencing production as soon as possible. The contract at Mungana follows PYBAR’s successful completion of an early works program at the project which took place from September 2016 to January 2017. Following a competitive tender process for the early works, PYBAR commenced on site on 16 September under a four month agreement. The scope of early works consisted of the rehabilitation of the decline, the re-establishment of underground services and electrical supply, and the commencement of waste development out to the orebody. By the end of December 2016, over 2,000m of decline had been repatriated, and access development was underway in the top four levels – 2225, 2200, 2175 and 2150 – of the planned sub-level cave. The equipment fleet for the early works comprised of one jumbo, truck and loader which achieved up to 300 metres per month of development. On 31 December the ore zone on 2225 level was accessed ahead of schedule and PYBAR was subsequently awarded the 31 month development and mining contract in February 2017 following a competitive tender process. PYBAR has recently introduced a second jumbo to increase development rates, especially on 2225 and 2200 level. Sample stoping on 2225 and a gold stope on 2200 will occur soon with a focus on drawpoint development and sub-level cave initiation and growth to follow. Production will ramp up during 2017, peaking in early 2018. PYBAR will have a peak team of 72 personnel at Mungana. The zinc-rich King Vol polymetallic base metal deposit is located 25km northwest of the Mungana mine site. The King Vol deposit was first mined in 1922 from shallow underground workings. The records indicate that about 2,200 tonnes of ore was produced before groundwater stopped the mine in 1925. Modern exploration in the King Vol area recommenced in the late 1960s and carried on under numerous owners until 2015 when Auctus acquired the project. Auctus has since reached a number of development milestones, awarding the five year mining and development contract to PYBAR in February 2017 following a competitive tender process. Since mobilising to site on 1 February, PYBAR has established the portal and ground support, developed the first 40m of the decline, and established the explosive magazines, temporary workshop and offices. Over the coming months the permanent offices, workshop, ablutions, batch plant and sewerage treatment plant will be established, as well as pushing the decline down and developing the first levels to begin production in the second half of this year. PYBAR will have a peak team of 83 personnel at King Vol with equipment currently on site comprising a twin boom jumbo, LHD trucks, shotcreting and ancillary gear. PYBAR CEO Paul Rouse said: “The award of the Mungana and King Vol contracts is significant for PYBAR. Along with our recent contract award at Thalanga and long standing partnership at Mt Isa, we are re-establishing our presence at underground projects in Queensland as we enter a new nation-wide phase of growth.